Julianne counts the days until she can pack her bags and leave her old-money, tradition-bound Southern town where appearance is everything and secrecy is a way of life. 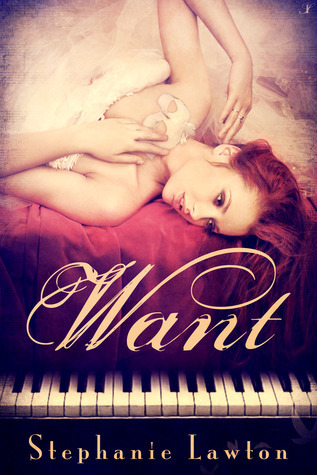 A piano virtuoso, she dreams of attending a prestigious music school in Boston. Failure is not an option, so she enlists the help of New England Conservatory graduate Isaac Laroche. Julianne can’t understand why Isaac suddenly gave up Boston’s music scene to return to the South. He doesn’t know her life depends on escaping it before she inherits her mother’s madness. Isaac knows he must resist his attraction to a student ten years his junior, but loneliness and jealousy threaten his resolve. Their indiscretion at a Mardi Gras ball—the pinnacle event for Mobile’s elite—forces their present wants and needs to collide with sins of the past. When Julianne's long time piano mentor and stand-in grandfather, Mr. Cline, has a stroke, she is placed in the capable hands of Isaac Laroche, Mr. Cline's nephew. Robert Cline feels that Juli and Isaac are very much alike and can help each other with more than just music.Juli is hiding a terrible family secret that she fears will destroy the reputation of her family if it's made public. Isaac's reputation had already been destroyed when he was 17, and though it's been 10 years, the town hasn't forgotten what happened. However, Juli is unaware of Isaac's past both in Mobile and in Boston. The synopsis doesn't do this book justice! I don't mean that in a bad way though; I mean there is so much more to this story than what is in the synopsis. I would love to talk all about that, but I don't want to ruin anything. I loved reading this book, but at the same time, it was a little hard to read. There were some aspects of Juli's story that just hit too close to home for me. I found myself crying throughout the book partly because of that, but I'm sure that even if it didn't hit close to home, I would still find the story emotional. There were characters that I loved and some that I didn't like so much. One ... well, there was one that I just couldn't help but hate even though there was a medical issue involved in their actions. I really did like the relationship that developed between Juli and Isaac, then one of Isaac's friends comes into the picture. Dave Gaston is another piano prodigy who went to the New England Conservatory with Isaac. When Dave shows up he's very flirtatious towards Juli, and he's very impressed with her musical ability. A bit of a love triangle develops, though I hate to use that term because I don't want to turn anyone off of reading this story because of a dislike for love triangles, but as I said, Dave flirts with Juli every chance he gets. First you don't know if it's just his personality or if he's serious. When I realized that he was serious, I wasn't sure who I wanted to root for. I mean, Isaac seems like the perfect person for Juli despite the age difference, yet Dave is such a fun-loving, playful, caring person. I loved the way Dave teased Juli, making her laugh even when all she wanted to do was cry. I felt like I was pulled into the story, and I found myself fearful of what would happen to Juli or what would become of her. Juli's life certainly has some serious ups and downs, and I did like how it ended, but I will admit, I would love to read more of her story. I know I'm being vague regarding things, but again, that's because I don't want to spoil anything! You'll just have to read it for yourself! I definitely recommend this book.